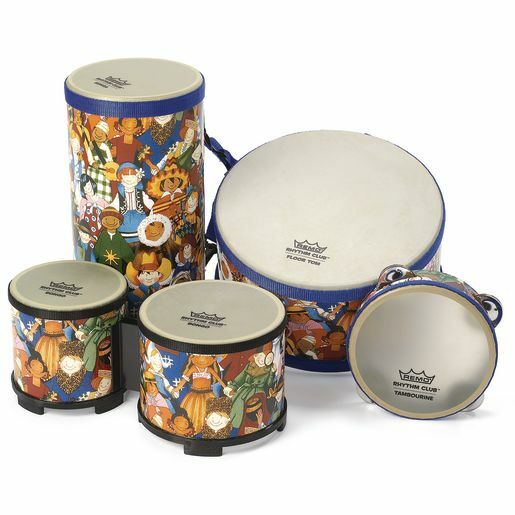 Value-priced 5-piece Rhythm Club™ percussion set includes 12� Konga drum, 5� Floor Tom with Mallet, 5�, 6�, & 7� Bongo drums, and a 6� Tamborine. Drums are quality Remo® construction vibrantly color fabric and synthetic Renaissance-finished drum heads. High-density base elevates the drum for even the smallest percussionist can make great sounds.